I remember my Aunt Vera very clearly from my childhood. She lived well into her nineties in a neat little bungalow outside Worcester with a mini parked on the drive outside. Aunt Vera had a magnificent mischievous grin and to her end she was one of life’s cheerful souls. 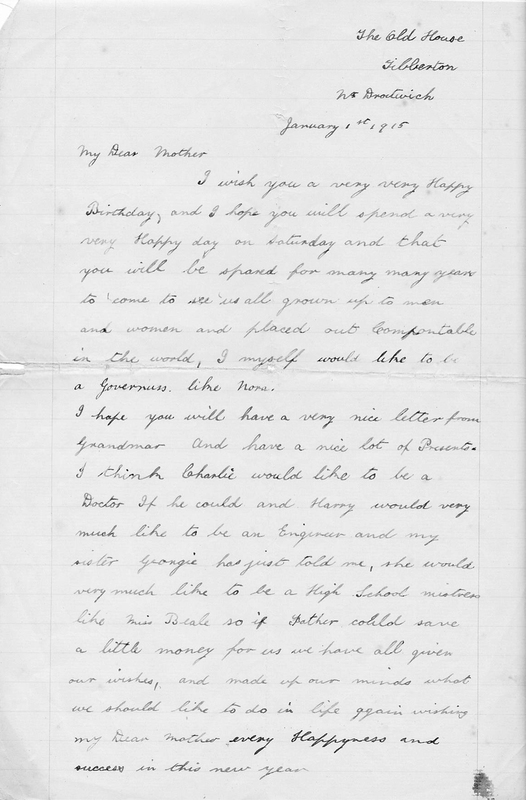 A few years ago I found this letter that she had written during her childhood, on new year’s day 1915, setting out her hopes for the future. Here it is.